The Dominator 200 soars like an eagle in flight. 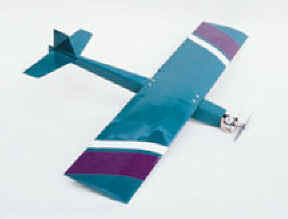 Kit has built up wing and can easily be converted to electric for super-efficient novice flying! Overall Fuselage Length: 24 3/4"